I have never been a heavy bath or beauty product user and only did housework because it must be done, but developing TILT at age 25 and then living it with for about 20 years now…I really believe less is absolutely more. We just really don’t need all that stuff. Within the small set of products I feel like I do need, I try to choose wisely for the planet, my family and me. Additionally, my skin sensitivities mean that sometimes a product that worked well for years all of a sudden is problematic for me and I have to find a new one. The result being my cabinets have some old friends and some new ones. So in today’s blog I am presenting the products that are working for me right now. 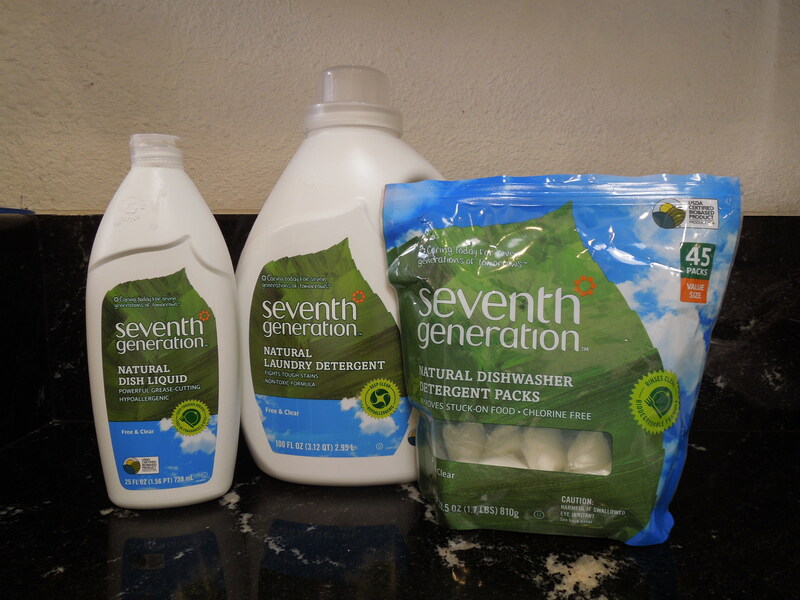 The 7th Generation Detergents have always worked for me – laundry, dish and dishwasher machine. As long as it’s the Free and Clear so there is no added fragrance. 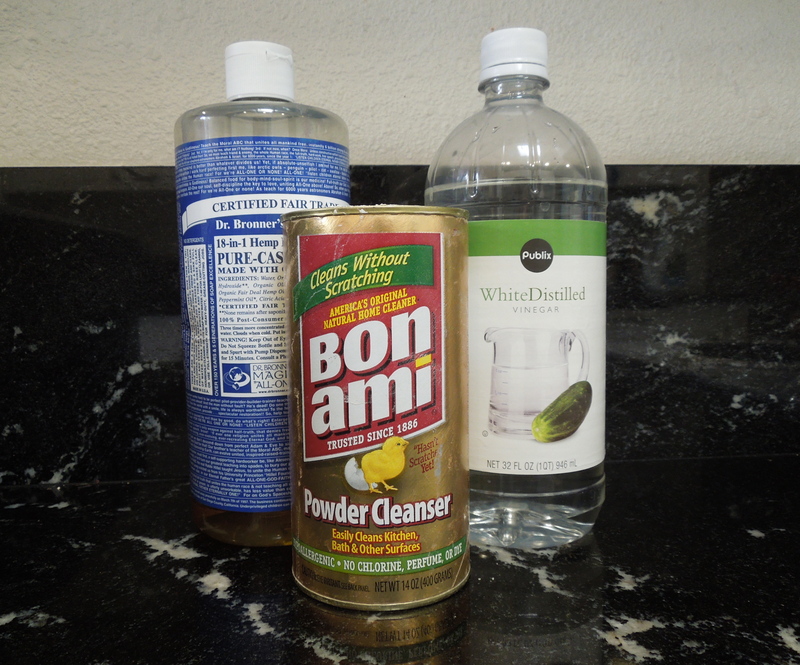 The triumvirate of house cleaning – Dr Bronner’s liquid soap, Bon Ami, and vinegar. Also a long time standard at my house, these three really can do anything around the house that you need. My bathroom needs are currently met by a new line up of products. 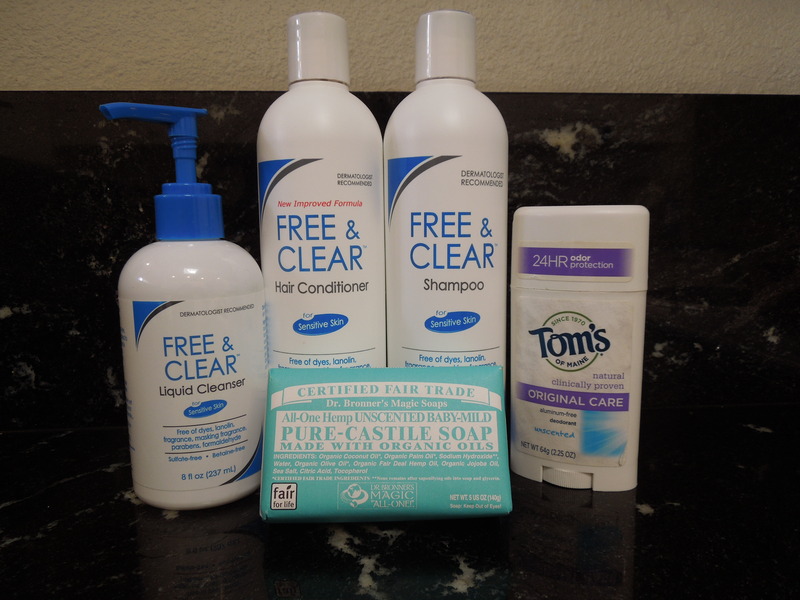 I am really enjoying 100% Pure shampoos and cleansers. I don’t use them often but they are gentle enough to not require lotion or conditioner afterwards, plus their ingredients all seem edible. 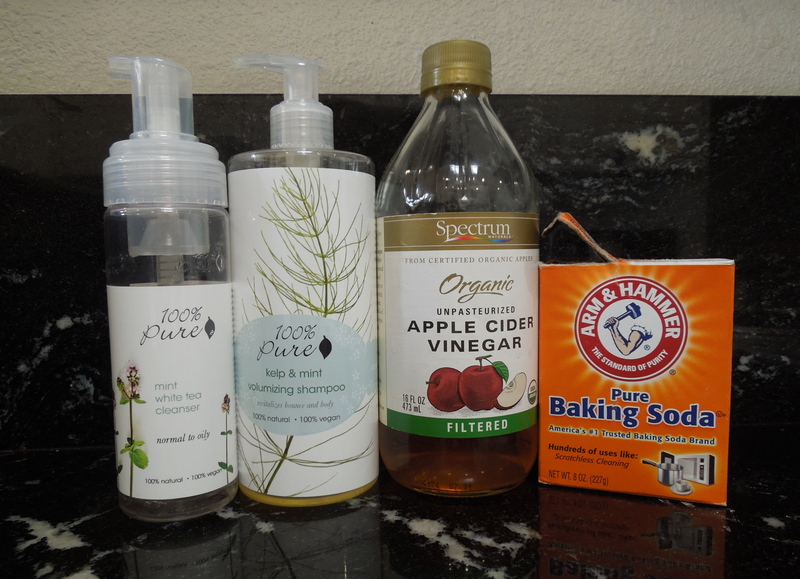 For every day hair and skin cleansing, I use diluted baking soda as a scrub and diluted Apple Cidar Viengar as a rinse, saving the bottled products for a once a week occasion or a post yard work necessity. As I’ve mentioned before, I rarely wear makeup, maybe once month. And even then it’s just one or two items. But Alima is what my skin has been ok with for the past year or so. They have great ingredients and an inspiring backstory. I don’t know what would happen if I wore this stuff every day; probably something bad. But since that will never happen, I like having some mascara for the rare WOW factor. These products are found in my kids’ bathrooms. They are all fragrance free, so they are safe to be used in my home but I find them too harsh for my skin and in general, more than I need. However I have two kids heading into puberty and well…they need more serious cleansing tools. 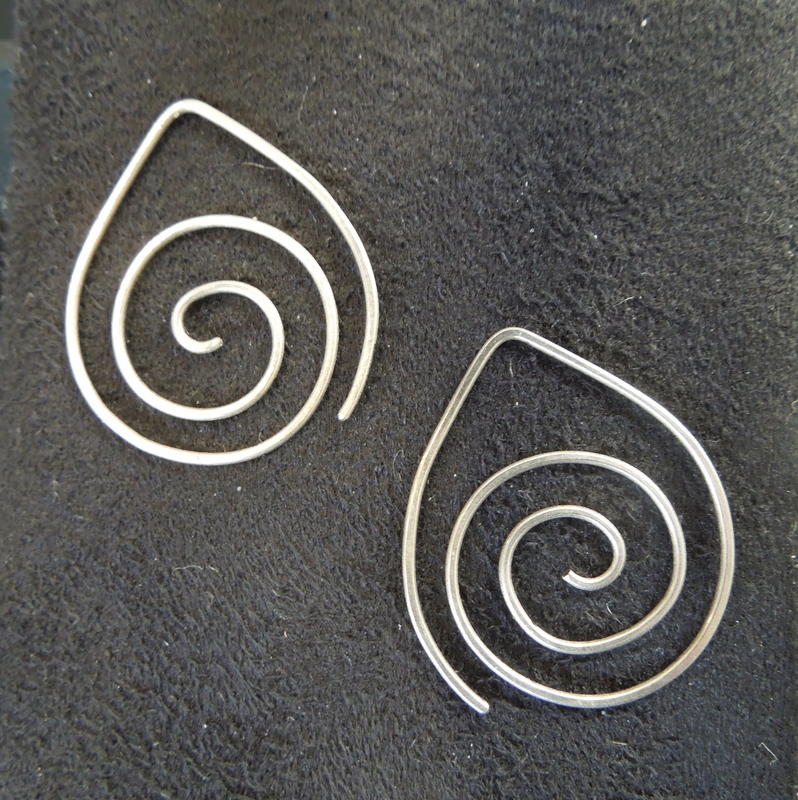 Lastly, I have discovered that it is now much easier to find earrings made of stainless steel, titanium or even niobium than it used to be. I gave up on earrings almost 20 years ago when the heavy metal poisoning led my body to reject all metals. I have tried the occasional earring since then, but of course, silver and gold are the standard material and I reacted strongly to those. It’s so nice to have alternatives. I found these titanium ones from a nice little seller on Etsy. It’s a short list and they are all relatively easy to find. All of the 7th Generation, Bon Ami, Tom’s of Maine, and Dr. Bronner’s products I can find at my grocery store or health food store along with the vinegar and baking soda. The 100% Pure, Free & Clear, Alima and earrings I have purchased online. Just remember, YMMV. Tags: bath products, beauty products, cleansers, MCS, Multiple Chemical Sensitivity, products, TILT, Toxicant Induced Loss of Tolerance. Bookmark the permalink. We have ALL the same products except I use a different shampoo, Avalon Organics. I wear the Alima often though. Nothing happens. I just posted a Facebook selfie with every possible product layered on my face and no rash. Yay! Very glad to hear good things about Alima. I had been blaming my “natural” look on caution but now I may have to admit to laziness:) Also very good to hear from you in general – hope that robot arm is giving you some functionality! I’ll add this Alima to my fragrance free list of products on Lislty. Do you know of an eyebrow pencil that isn’t made from cedar?